Our Cuddliez Wolf features variety of bandana colors to choose from and allows adding custom details for Brand Recognition. 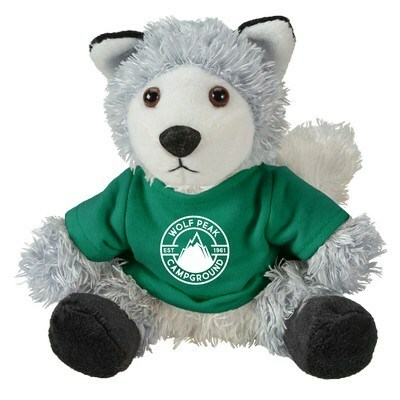 Get them howling for more with the custom Cuddliez Wolf! 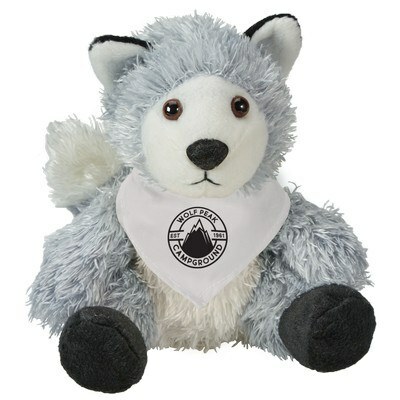 The friendliness of this plush animal will surely put your recipients at ease and they can easily view your advertising message printed on the huggable and durable stuffed animal. 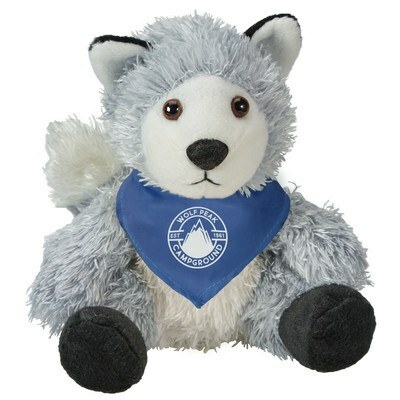 It has a hand-sized, easy to hold shape and pure polyester body. The wolf features grey body with white mouth, tail, black paws, nose and eyes to make it more adorable and cuddly. 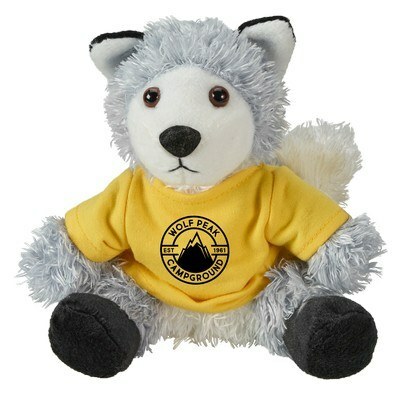 It wears a small t-shirt with your brand logo directly printed on it for maximum exposure. You can select the t-shirt color to match your brand impression and create customized gift for zoos, schools, hospitals and camps.